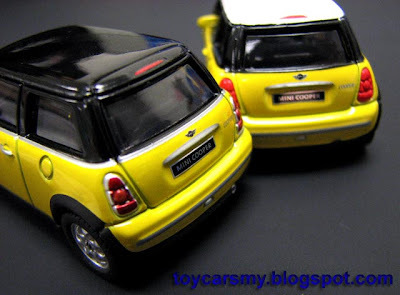 This is a interesting comparison to share, Tomica Limited Mini Cooper vs Tomica Mini Lotto Series. 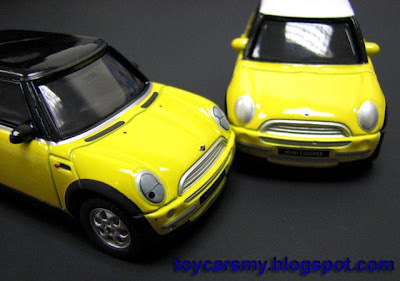 Both models were purchased almost at the same period, but the Limited Mini was launched in 2004, re-hit to the markets recently. 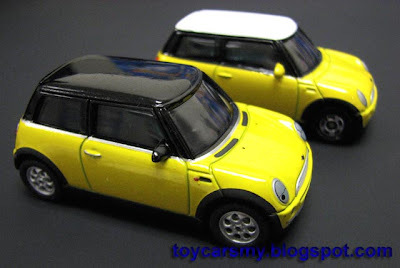 By coincident, both Mini are selling at same price, RM16.90. Despite it worth same price, but the limited model built with superior quality. Not to mention the rubber tyres and the silver trims, the finishing has a lot more details compared to the lotto car. A clear message bring out from this comparison is worth buying Limited Series than Regular Series with its value for money. Few more pictures attached below, you know what I mean. That's great! 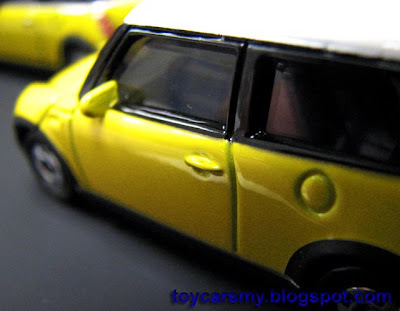 Mini is always the best. 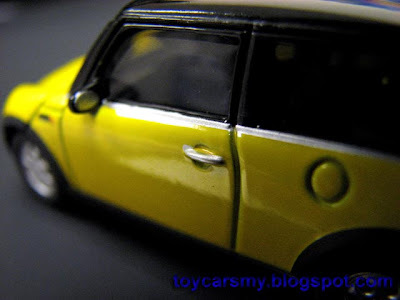 I love Mini!